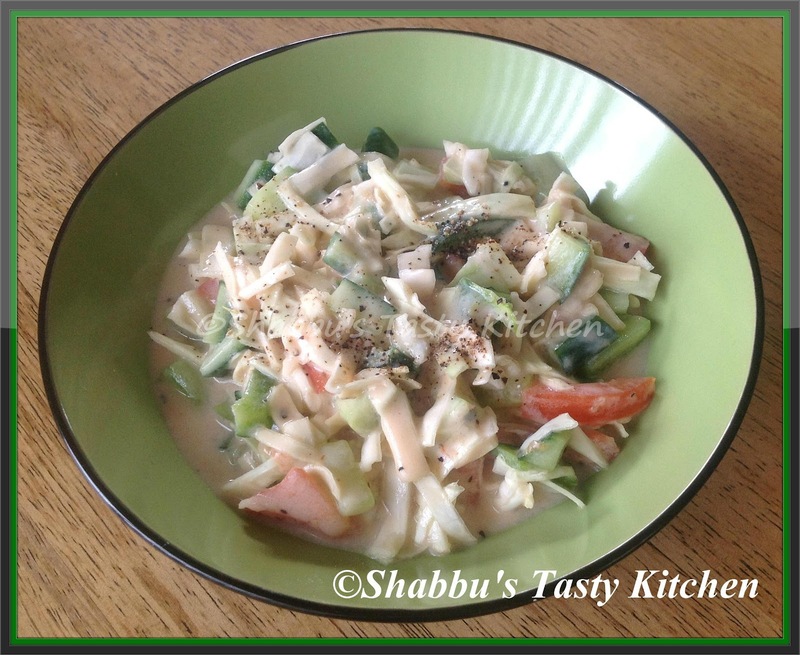 Chop cabbage, cucumber, tomato and capsicum into thin slices and keep it aside. In a bowl, add yoghurt, honey, cream, tomato sauce, lemon juice, pepper powder and salt and mix together. Add this prepared mixture to the chopped vegetables and mix well. The bowl of complete wellness ! I long to have one bowl like that ! Looks so flavorful and delicious! !